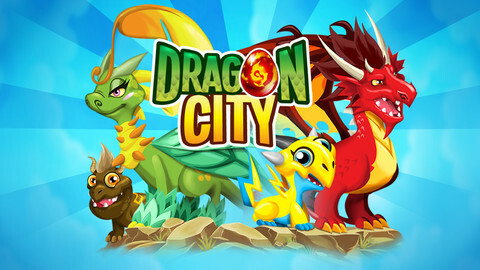 The popular Facebook game Dragon City is launched for iOS platform and now you can play this awesome game on your Apple iPhone or iPad. 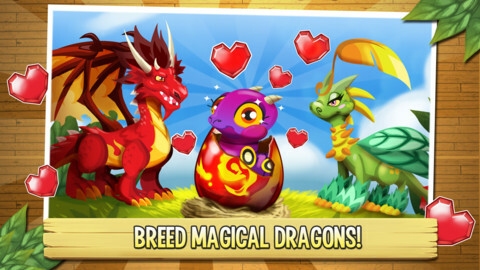 The game features a interactive game play where you are on a quest to build a city full of animated dragons,You are first given a dragon at the start of the game which you will breed your dragon and hatch eggs to discovery new species of dragons. The player feeds,decorates and trains his dragon to fight with the opponent dragons in the battle environment or engage in a battle with your friends and other online users,There are over a 100 types of dragons to unlock and over 160 interesting levels to complete in this fantasy game.